Steve McIntosh is a leading integral philosopher and the author of the new book, The Presence of the Infinite. It applies integral perspectives to enlarge our understanding of what spiritual experience is and how it works. The ongoing emergence of the integral worldview sheds light on many crucial areas of life, including politics, business, culture, and psychology. But the field of human endeavor where the integral perspective is arguably most illuminating is in the realm of spirituality. In The Presence of the Infinite Steve provides a cultural analysis and critique of the various forms of spirituality that are vying for influence in contemporary American society. Building on this context, he describes how integral spirituality can overcome the limitations of religious, secular, and progressive spirituality by better harmonizing science and spirit. He then uses an enlarged understanding of spiritual experience to consider the question of ultimate reality. In our dialogue we will discuss the intriguing idea, developed in his book, that within the historical human experience of ultimate reality there exists an interdependent polarity between two central spiritual experiences: the experience of the love of God, and the experience of non-dual Samadhi. Steve argues that these two essential kinds of spiritual experience can both complement and challenge each other, leading to the further spiritual development of spirituality and culture. In our conversation we plan to explore this in living terms. Steve will begin by presenting the ideas he’s already clarified, including his perception of the similarities and differences between non-dual and theistic spiritual experience. And he’ll explain how the integral perspective can expand our grasp on both. And I will engage with him, doing my best to “push the envelope” so that new understanding and truth can emerge! I’m very much looking forward to this dialogue. Please join us live this Sunday, December 6th at 10am PST. Dustin DiPerna is a dynamic young integral leader who has traveled all over the world, working as a bridge-builder, a scholar, a teacher, and an entrepreneur. He continues to make fresh, dynamic, original contributions to contemporary spiritual culture. He is also a friend. Dustin and I bonded immediately when we first met, even as the classic intergenerational tensions arose between us, particularly when he began putting forth his work in the public space. We’ve always spoken frankly and we’ve forged a deeper friendship in the process. But that’s not the end of the path, nor is it enough. Beyond mindfulness, there is an awakening of free consciousness and an opening of the heart. As we expand our capacity to care and to love, we begin to feel that our own awareness isn’t contained within our personality structure. Ultimately we can recognize a reality that’s non-separate, a reality that’s unbounded wholeness. It’s from that awakening that effective action in the world can spring forth. That’s why we have to go “beyond mindfulness” into awakening. But there’s a paradox. As the title of this series, Beyond Awakening suggests, not only is mindfulness insufficient for addressing our world crisis, but even awakening has to evolve. It must become “mutual awakening” and “awakening in action” and “awakened citizenship.” A new paradigm of awakening is in the process of emerging. But integral consciousness goes beyond either/or thinking to both/and thinking. At the same time, even though mindfulness may not be sufficient, it is a very good thing that it’s finding cultural acceptance. The mainstreaming of this “beginner’s practice” of mindfulness, from Silicon Valley to suburbia, is undeniably positive. At least some kind of consciousness practice is now arriving in the lives of many more people. This has a potential for significant societal impact and uplift. Dustin pointed to the 1960s and the emergence of post-modern consciousness. Some people turned our attention inward, beginning to examine consciousness with psychedelics and the exploration of Eastern meditation traditions. Many also turned our attention outward, mobilizing to affect the world in a positive way, through civil rights, social justice and environmental activism. Both the inward and the outward efforts were positive and had cultural impact, but individually each was limited. If we only do the inward work we may never “leave the cushion.” But if we neglect our inward work, and charge forth to change the world, we tend to suffer marginalization and depletion. Dustin claims that if we can truly bring these two streams together, to both “wake up and show up,” in an activism that doesn’t perpetuate separation, what can result is an inexhaustible sense of love and the capacity to move into the world in a dynamic way. Mindfulness is a gateway into this integration of awareness and activism. The “paradox” is resolved if we can support and appreciate its infiltration into larger culture, while helping people to understand what mindfulness is and isn’t—where it is useful and where it has limitations. Our intergenerational differences have been a rich source of creative “friction” for us, so it seemed important to go there during our dialogue. I asked Dustin to share what he is noticing about those differences among his contemporaries. For his part, Dustin suggested that we describe the archetypes, and the critiques, that we’ve experienced in each other’s generation. Dustin says his generation can often mistake information for experience, and fail to respect and honor the experience of the spiritual practitioners who have come before. And that’s a pitfall. At the same time, they benefit from the legacy of baby boomers and Gen-Xers who have enabled later generations to be exposed in their teens and early twenties to integral and evolutionary philosophical frameworks, giving them a much richer understanding of esoteric wisdom traditions. As a result, practitioners of Dustin’s generation have a certain acuity and quickness. This “quickness” is often where the intergenerational tension arises. But it’s also where the possibility for a powerful intergenerational synergy arises. With sufficient humility and mutual respect, the depth of older practitioners who have experienced loss, acquired wisdom, and sustained commitments over time, can interact synergistically with the quickness and adaptability of younger practitioners. I observed that younger practitioners are not engaging the sustained, self-transcending, whole-being surrender that practitioners of my generation dedicated to our spiritual schools and teachers. My own root guru, Adi Da intruded deeply into my life, demanding a whole life of practice. Because I trusted him more than I trusted myself, I was able to transcend my preferences and patterns and discover remarkable freedom and profound growth. This level of submission is now unthinkable amongst Dustin and his contemporaries. For good reasons. But there is something lost too. Surrender to a teacher enables the practitioner to go beyond one’s preferences in ways that are sometimes extremely uncomfortable. This makes real transformation and ego transcendence possible. We both agreed that one of the things that excites and compels us is the emergence of integral we-space practices and the collective awakening that is possible in mutuality. People that we’re learning from. People who we’re mentoring or teaching. People that we’re in mutuality with, peers with whom we share a similar level of development. I agreed, but suggested something even more radical—regarding everyone (whether “above” or “below” us) as our teacher, friend, and as someone in need of our love and wisdom—a view of reality in which we’re all teachers and students and friends to one another. It was a rich conversation. We also touched on “the way of effort” and “the way of grace,” the importance of relating to our “outer work” as lovers—and much, much more. I invite you to listen in here. Dustin DiPerna is a dynamic young integral leader who has traveled all over the world pursuing his dedication to making timeless spiritual wisdom relevant and accessible for a rapidly changing world. He is both a rigorous student of the traditions and a serious practitioner. I have known Dustin for over a decade, and I’m both proud and delighted to see him making an increasing number of fresh, dynamic, original contributions to contemporary spiritual culture. For the past 8 years, Dustin has been practicing and studying in the spiritual lineages of Mahamudra and Dzogchen under the direction of Daniel P. Brown and Rahob Tulku Rinpoche. Starting even earlier, Dustin has been, for more than a decade, a close student of Integral philosopher, Ken Wilber, who has said of Dustin’s work that it “fundamentally alters the way in which religion or spirituality can (and should) be taught and practiced” (access both Daniel Brown and Ken Wilber’s Beyond Awakening dialogues here). During our upcoming dialogue, Dustin and I will be exploring what happens “beyond mindfulness.” Mindfulness has now become mainstream. But there’s more to meditation and higher consciousness than mindfulness. Mindfulness, properly understood, is a wonderful beginner’s practice. Meditation goes far beyond becoming more calm, more relaxed, or even more mindful. Meditation, in its fullest and most fundamental expression, is about Waking Up. According to the great spiritual traditions East and West, each and every one of us has the innate potential to recognize the Ultimate Nature of Reality. Ultimate Reality is Undivided Wholeness, unobstructed by conceptual limitations of self, time, space or any other form of separation. Reality-Itself, in its deepest and most true sense, is effulgent radiance, expressing itself in each and every moment as an invitation from the Kosmos to open more fully into being conscious love. But how does this figure into the intractable and intensifying global crises that confront us on a daily basis? Dustin points to an ever-growing group of people around the globe who are not only going beyond practicing mindfulness, they are waking up and going beyond awakening too — joining together in deeper synergy to effect positive change in the world. I invite you to join us Sunday, Oct. 25th, as Dustin and I explore a synthesis of ancient and modern wisdom, the possibilities of meditation, and what it all means for you and for our world at this critical moment in history. Dustin DiPerna is a scholar and author, focused on the nature and evolution of the world’s religions, spiritual paths and philosophies. He is also a teacher, coach and entrepreneur who helps individuals and groups find happier and more fulfilling ways of being in the world. He is author and/or editor of four books: Streams of Wisdom, Evolution’s Ally, The Coming Waves and Earth is Eden (forthcoming in 2016). 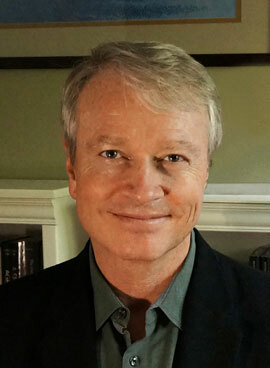 Dustin has held positions with the Integral Institute, the Integral Spiritual Center and the World Council of Religious and Spiritual Leaders (WCORL). As an entrepreneur, Dustin launched Integral Publishing House as a platform to publish books which stimulate the development of deeper levels of consciousness and culture. He also co-founded WEpractice, a training program to help people move beyond the limitations of individualized spiritual practice to discover the power of groups in transformation, integration, and healing. Dustin also played a central role on the leadership team for the Global Cooperative Forum in Interlaken, Switzerland and launched the World Business Commons in partnership with the Mendoza College of Business at the University of Notre Dame. His latest venture, Bright Alliance, is building an endowment for the continued preservation and dissemination of the great treasure trove of human wisdom sourced in our world’s great religious traditions. Dustin holds an undergraduate degree from Cornell University and a Masters of Liberal Arts degree in Religion from Harvard University. An avid lover of art, design and nature, he lives in California with his wife, Amanda, and daughter, Jaya.